The Belleek China Flowers of Spring Basket was Introduced in 2016. 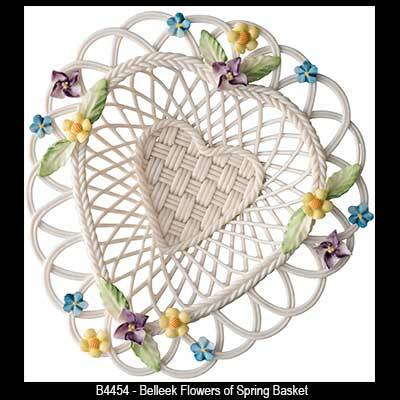 The Belleek flowers of spring basket is woven of fine china and features colorful springtime flowers. This heart shape Belleek china basket measures 6" long x 5 1/2" wide x 1 3/4” deep. The Irish basket is hand painted and handmade in Belleek, Ireland and it is received gift boxed, complements of The Irish Gift House. 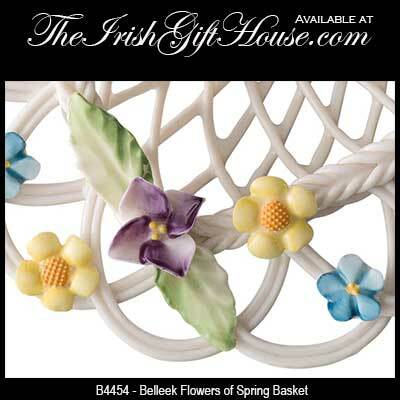 The Belleek flowers of spring basket features hand painted flowers of the season.